Who is the best person to handle incoming calls to your business from customers? “Me!” says the future entrepreneur. “Anyone but me!” says the current business owner. In the first months of a business, a new owner frequently opts to field calls, answer questions, and fill orders. It feels good to say, “Yes, i am the owner”. Additionally, you can be sure that the information you are giving is accurate. “It’s a strong face to the community” you say. Then things get way too busy. You’re stressed, pulled in all kinds of directions managing the various aspects of your business. You don’t have time for phone calls, so you delegate….to someone else who is too busy to provide world-class phone and business etiquette to each unique caller who rings you up. So what is the solution? Inbound call center services are a boon to businesses of all sizes. If you, like the harried business owner in the above example, have come to the end of your rope answering calls, and can’t spare your staff to take over the responsibility, there is no better choice. Today’s call centers are available to handle your customers questions and portray the nuances of your unique brand image, regardless of your industry or company size. These services have adapted in recent years. Your customers will feel like they are receiving the best possible service (and they will be) and you won’t have to think about it. 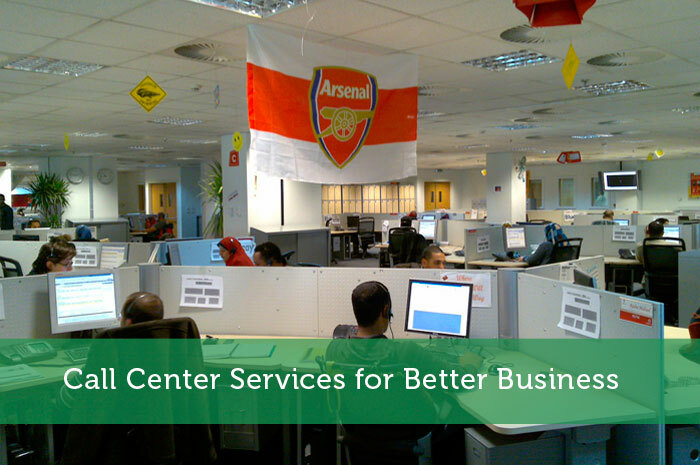 How far reaching are modern call centers in your multi-faceted media/customer exchanges? They can cover pretty much everything. Your 800 number, social media interactions, email, and even live chat are all portals where call centers can make your business shine. In fact, a call center can do all of these jobs better than you, on your best day. 82% of customers say a speedy resolution to their problem is the #1 most important factor in phone/email customer service satisfaction. Customer Experience is also the #1 facet that American businesses have planned to improve in 2014. One final stat, one study shows that a 2% improvement in customer retention is equal to a 10% cut in customer service costs. With this much riding on customer satisfaction, professional call centers are located at the crux of the issue. The best in the business understand the psychology of customer need. Their attention to detail is unsurpassed. An investment in modern call services is the best customer service decision you can make in terms of time and money. Today’s call centers have found the perfect combination of live human interaction and automated time-saving measures. Let an incoming call center take the burden out of your hands. Your customers will get the best service possible, with the minimum headaches for you. Helped customers are happy customers. Happy customers are loyal customers. Loyal customers are a successful business model. If you have yet to pull the trigger in today’s best call center services, now is the time. I’d outsource to a call center but I would see about getting English speaking people first. I just see the blow-back from having non-English speakers as the reps you talk to on the phone. For many people, it is hard to understand with the accent. The speed of customer service makes a big difference to me. After having to call into IKEA several times and nearly tearing my hair out dealing with their absurd system, I will never buy from them again. Charles Schwab or Amazon, however, are always a pleasure to deal with. I have lots of friends who are a call center agent and I can say that they are pretty good in their job. I’m currently living where call center jobs are one of the highest in demand work.